I am thrilled to announce the hire of Kiley Bednar! Kiley will officially join the Community Innovation and Action Center (CIAC) team in early February as Associate Director, Partnership Performance. In this role, Kiley will provide staff support to Thread STL, as well as provide overall direction and oversight in partnership with the Thread STL Steering Committee. Her overall charge on the CIAC team will be to lead and oversee a growing portfolio of strategies to build the strength of our region’s many community partnerships and coalitions, of which Thread is a key strategy. This transition comes at a ripe time to build from a strong foundation that you have been part of shaping since our founding just over three years ago. A St. Louis native, Kiley comes with more than 20 years of experience in youth development, education and social service administration. Most recently, she served 10 years with the Forum for Youth Investment, providing training and technical assistance to state and local leaders working to get young people ready for life. Through the Forum’s David P. Weikart Center for Youth Program Quality, she supported out-of-school time partnerships throughout the U.S. in building systems to measure and improve the quality of their youth programs. Prior to this, she oversaw the Forum for Youth Investment’s training programs – including the Ready by 21 webinar series and the Ready by 21 Institutes – as well as coordinated the national Children’s Cabinet Network for statewide coordinating bodies. As a technical assistance provider at the Forum, she led community engagement efforts, data communications, and strategic planning for cities and states focused on better aligning their efforts around improved child and youth outcomes. Kiley’s hire culminates a nearly 2-month search process in which your input, as Thread STL members, played an important role in helping us shape the vision and qualifications for the position. Candidates were reviewed and interviewed by a 6-member search committee comprised of CIAC leadership and Thread STL leaders and several members participated in an opportunity to meet and hear from our finalists. 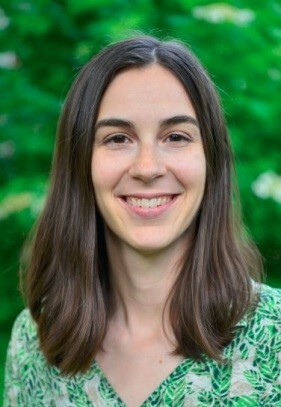 I share the search committee and CIAC team’s confidence that Kiley’s experience, not just within and adjacent to partnership and coalition work, but also in developing peer learning strategies and networks, will serve her well in this role. Further, Kiley brings a genuine passion for our region and the people in it. Over the coming months, I’ll be supporting Kiley’s transition on to the CIAC team and working with the Thread Steering Committee to onboard Kiley to support Thread. I look forward to you meeting Kiley in February.